Philosophical question: If the white kits got blamed for the first goal, do they credit for the equalizer? 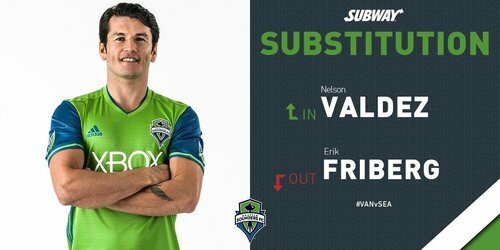 Nelson Valdez for Erik Friberg will be Seattle's final sub of the evening. 79' - PENALTY to Seattle. Handball in the box is awarded by Salazar. 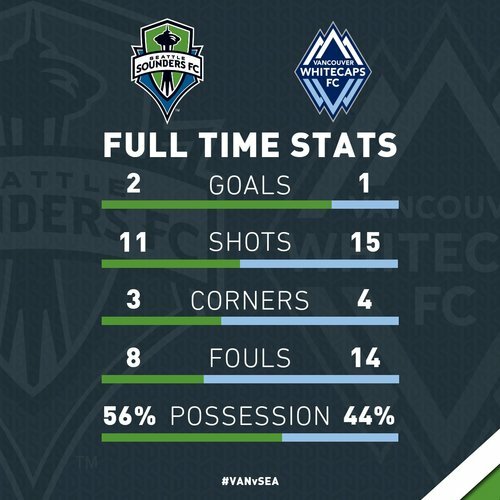 Sounders with a chance to take the lead. 2-1. 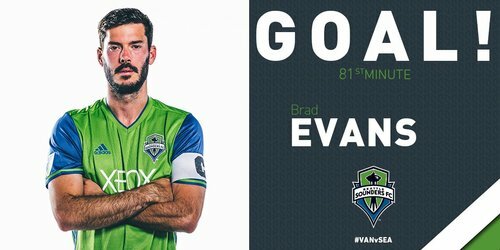 No doubt from Evans and the Sounders have taken the lead. GOAL Brad Evans scores the penalty. 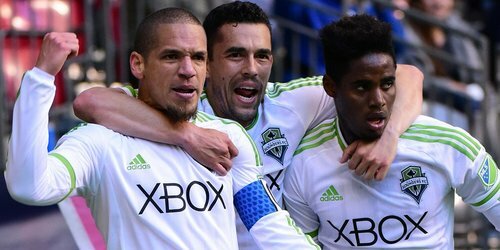 2-1 #SoundersFC . 81' #MLS #VANvSEA . Brad Evans says he hopes red card gets rescinded. Said he didn't make any contact w/ Edgar.